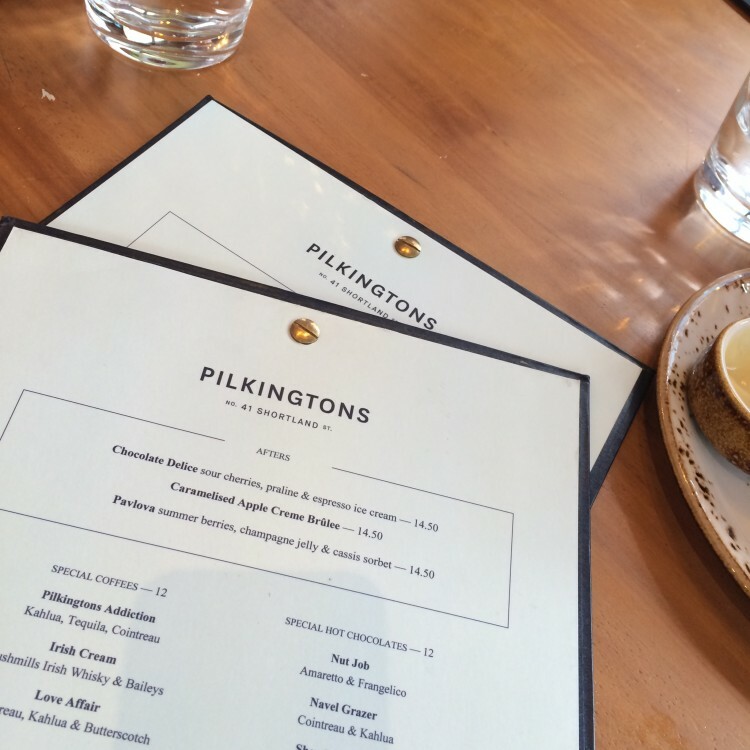 I recently had a quick lunch at Pilkingtons in Auckland City. 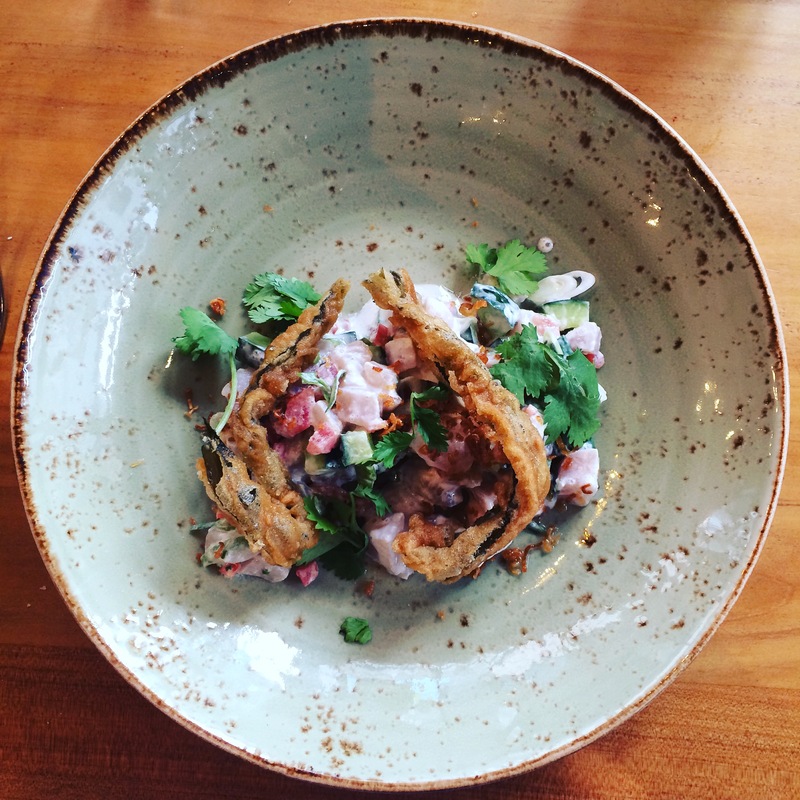 Relatively new on the scene, Pilkington’s is a terraced bar and restaurant located in Shortland Street. The thing I immediately noticed upon entering Pilkingtons was the greenery that is a feature not only in the restaurant, but also in the lovely outdoor terraced area. On the day I went, we chose to sit inside as I was part of a large group of people. The restaurant didn’t really cater for a group as large as ours. What I mean by that was that we had tables that sat in an area that people used to walk outside, so we had to move our chairs quite a bit to make room for people wanting to go out. However, I will say that Pilkington’s seems to excel at smaller groups of people, say 4-6 people, especially in the nice little booths that they have there. Service was outstanding. The wait staff was very attentive and personable and quick to let us know what the specials were. For my entree I had a half a dozen oysters served on a bed of rock salt. They were fat and juicy and absolutely delicious, served with a sherry vinegar. I particularly liked that they didn’t faff around with them too much, leaving them to be natural. My main (pictured below) was a Lime Cured Kokonda (raw fish dish) and it was delicious. Let me tell you, being half polynesian I am quite particular about any raw fish dishes and this one hit the mark. It was a beautiful mix of textures and flavours, all complementing the fish rather than overwhelming it. After these two dishes I was too full for desert – which almost never happens. All in all, I had a great time at Pilkingtons. If you’re looking for a place in town for a quick, but delicious lunch in lovely surroundings with great service, then give this place a go.